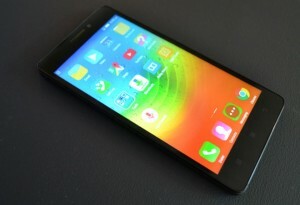 The Chinese tech giant Lenovo has planned to release its new phablet Lenovo K4 on January 5 in India. After the success of K3 note, Lenovo is ready for its new release. The phablet is built with NFC or near field communication and fingerprint sensor. The Bluetooth connection will allow two devices to share the data by pairing but if the phone is enabled with NFC no pairing is required for connection and the NFC is also used as a smart card for payment and ticketing. Lenovo K4 has 3GB RAM and fingerprint sensor in the metal body and 2GB RAM in plastic body with no fingerprint sensor. The K3 has crossed about 1.2 million sales in six months and now Lenovo has planned to launch its K4 variant. The enhanced phablet may attract the audience with its excellent features.